Materials: oil on canvas. Dimensions: 82 x 102 cm. 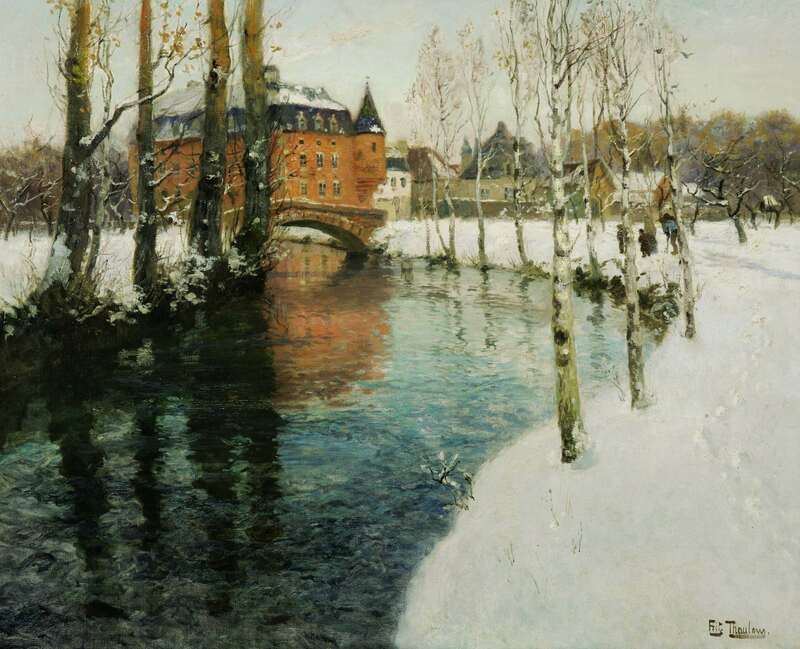 Source: http://www.katz.co.uk/Frits-Thaulow-Oslo-1847-1906-Volendam-ch%C3%A2teau-Normandy-DesktopDefault.aspx?tabid=6&tabindex=5&objectid=470460. I have changed the contrast of the original photo.